QUESTEA is specially designed for quality CTC, Green and Orthodox teas, and for trouble free operations. 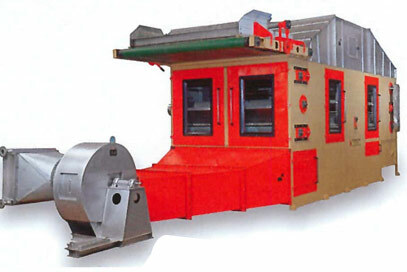 The Drier consists of a 4’/6’ wide chamber with insulation walled construction and 3 tray circuits for 6-stage drying. Multi-pass of hot air results in higher heat transfer rate and reduced fuel consumption.